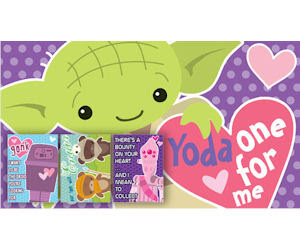 Grab a free set of Star Wars Valentine's Day cards for your little ones. Download and print these cute Valentine's Day Cards by artist Katie Cook! Includes a make-your-own envelope too!